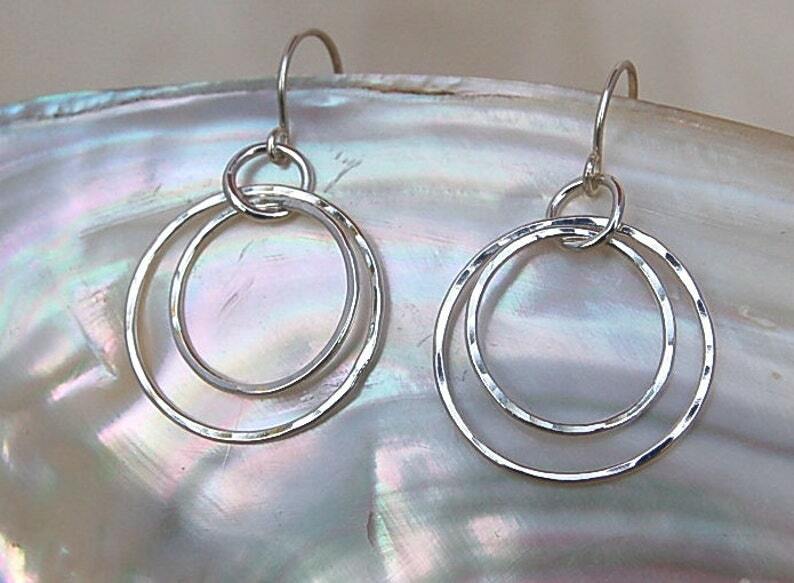 These stylish earrings have been formed, fused and hammered by hand from the purest silver available (99.9%). Largest circle measures smaller than one inch in diameter. Photographed next to a nickel to show size. 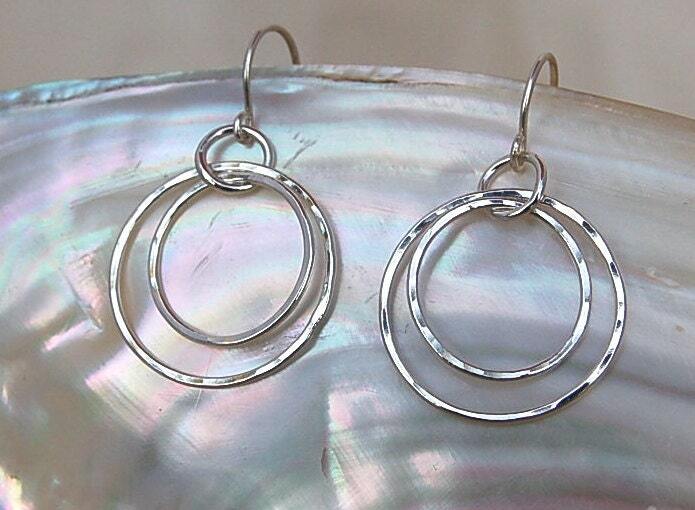 They dangle from a simple sterling silver (92.5%) ear wire.